The Darwin D. Martin House held a magnetic fascination for Yoshiharu Tsukamoto -- partner with Momoyo Kaijima in the prominent Tokyo-based architectural firm Atelier Bow-Wow -- enough to take a tour after an up-all-night trip to Buffalo and immediately prior to lecturing at UB's School of Architecture and Planning. The affinity had less to do with the fact that Wright went off to Japan for three months while the Martin, Heath, and Barton houses and the Larkin Building were under construction and less to do with Wright's six-year campaign to design and build the Imperial Hotel in Tokyo (1916-1922) but a more to do with a predominant interest in both firms' practices with domestic architecture. Mr.Tsukamoto opened his UB presentation with a panoramic view of a vast swath of Tokyo neighborhoods where space for new construction is rare, precious, and often miniscule. 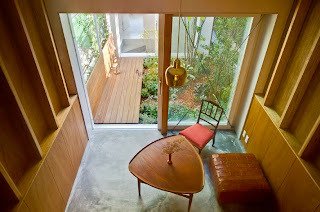 He and his partner have built scores of small houses as well as public spaces by operating somewhat like urban surgeons. 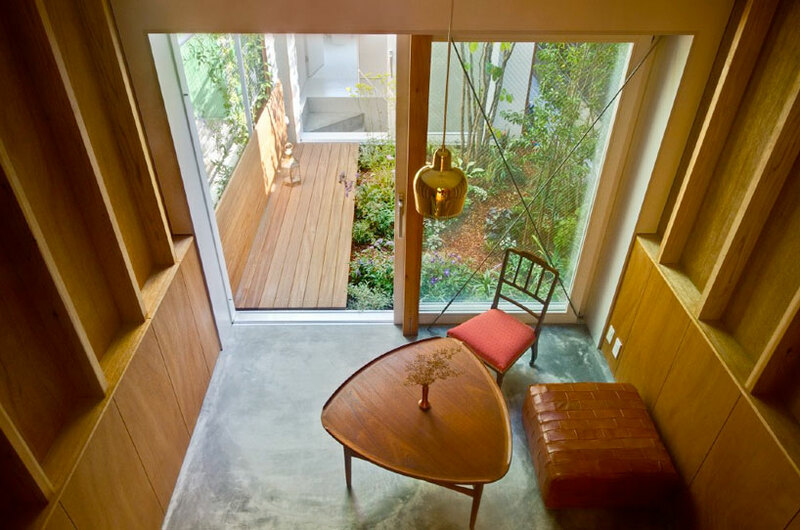 Their remarkable creativity has earned them commissions in Italy, China, Denmark, New York, Los Angeles, Berlin and Linz, Austria, despite the current rage for the more bombastic work of the architectural stars. 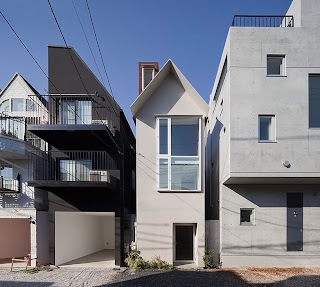 Pictured below is Atelier's Bow-Wow's "Split Machiya house," (the one in the middle) so-called for its division into two two-story buildings with a courtyard between them. 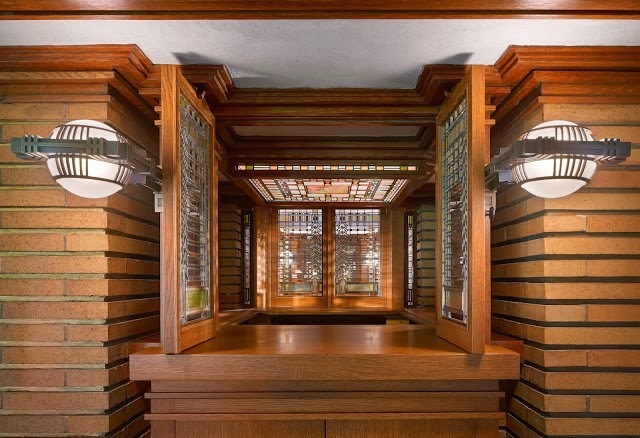 Given the scale of this house one can not help thinking that the 1.5 acre Martin House site, and what Wright did with it, must have seemed to Mr. Tsukamoto like an embarrassment of riches. Why "Atelier Bow-Wow"? I didn't get a chance to ask Mr. Tsukamoto about the source of the firm's name but they seem to have a certain affinity for little dogs. 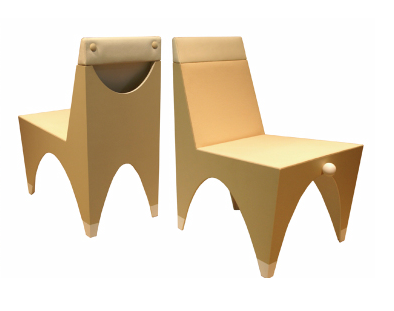 Their work is endearing and playful but remarkably creative within circumstances that are often tightly constricted.